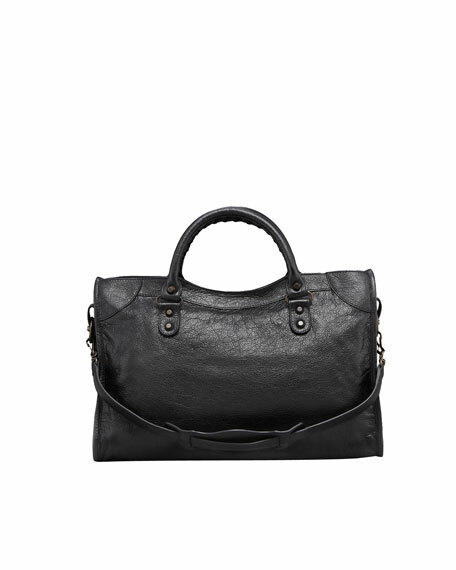 Black soft lambskin with aged brass hardware, including stud and buckle detail. Tote handles with 4" drop; removable shoulder strap with 9" drop. Black cotton-lined interior with zip pocket and Balenciaga embossed palladium plaque. 9 1/2"H x 15"W x 5 1/2"D.
For in-store inquiries, use sku #1940051.